Peep peep! 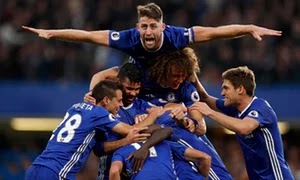 Chelsea have stuffed Jose Mourinho’s team in memorable style. 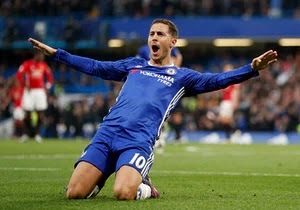 They played the smarter, zestier football and fully deserve the orgiastic celebrations that are currently occurring at Stamford Bridge. Thanks for your company, night. 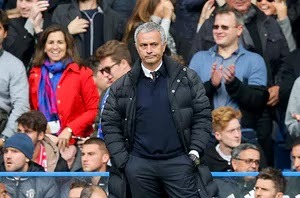 Premier League- Chelsea Jose Mourinho suffered his heaviest Premier League defeat as his Manchester United side were destroyed in a 4-0 defeat against Chelsea. 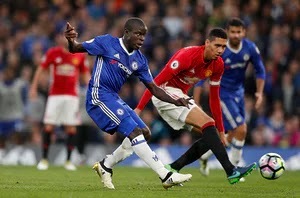 Mourinho’s return to his old stomping ground ended in disaster as goals from Pedro, Gary Cahill, Eden Hazard and N’Golo Kante secured the three points for Chelsea. 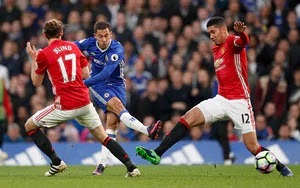 United were simply never at the races as they were blown away by Antonio Conte’s charges, who inflicted a third league defeat in just nine games on Mourinho’s men. 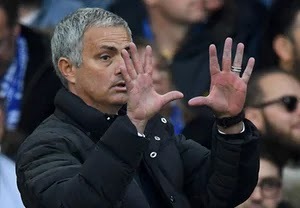 It was also just the second time that Mourinho has seen a side he has managed in the Premier League concede four or more in a game – the first being when his Chelsea team lost 5-3 to Tottenham in 2015.